The initial wave of “Platinum Edition” 3CX backhoe loaders has rolled off the production lines at JCB's World Headquarters at Rocester, Staffordshire, UK. The first batch of colorful limited-edition machines to mark JCB's 70th anniversary is currently in production. The initial wave of “Platinum Edition” 3CX backhoe loaders has rolled off the production lines at JCB's World Headquarters at Rocester, Staffordshire, UK in a color combination last seen more than 40 years ago on the JCB 3C III model. 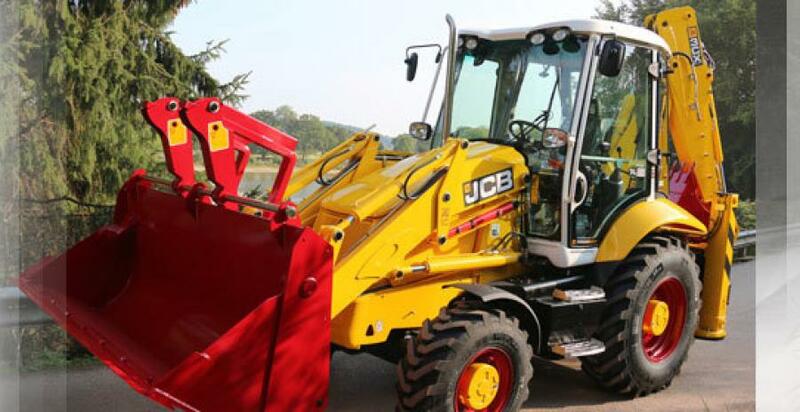 The machines come complete with red buckets, full white cab and red wheels instead of JCB's customary black and yellow finish. The limited edition 3CX backhoes – which have a top speed of approximately 25 miles per hour – are fitted with air-conditioned cabs, heated seats and six-speed Autoshift transmissions. And, to satisfy the demands of modern-day backhoe operators, the unique machines will also be equipped with in-cab coffee makers. Since manufacturing its first backhoe loader in 1953, JCB has produced more than 600,000 backhoes and now sells them in 120 countries. JCB has also been the world's biggest manufacturer of backhoes for the past15 years with a backhoe product range that spans 40 models, from the compact 1CX to the mighty 5CX.